Send a smile with the fun and festive Carnival Monkey Club Flyer. With 18 lines for your event information, you can promote your circus, carnival, or street fair. 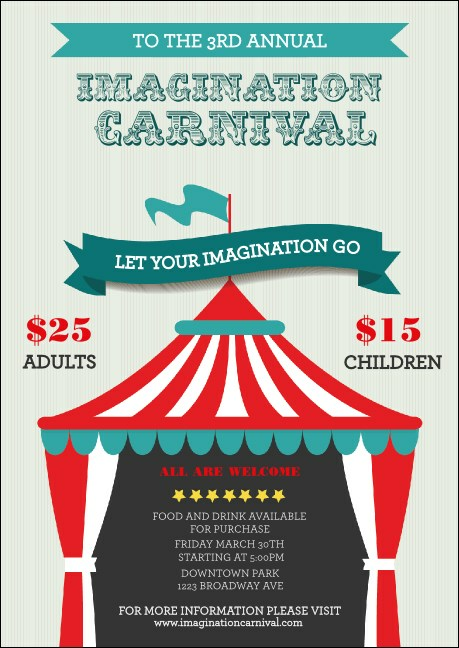 Featuring bold reds and blues and a circus big top, this club flyer is printed on high quality card stock. Combine with a Matching Event Kit for easy event planning! Celebrate your community with the right club flyer from TicketPrinting.com.